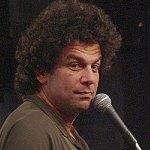 show time 8pm doors open at 7pm This will be Al Lubel's 2nd appearance at the Turning Point. The first time it was 45 minutes of solid laughs, now he comes back for his own evening. A special one man show with Al Lubel. Stefan says this is a must no miss.